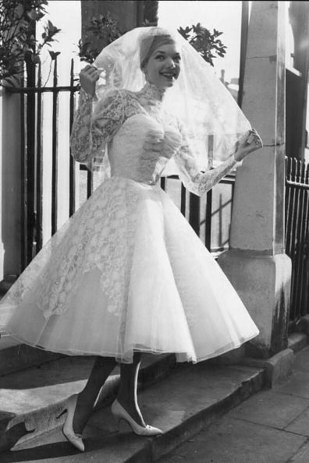 Get that old Hollywood glamour on your special day! 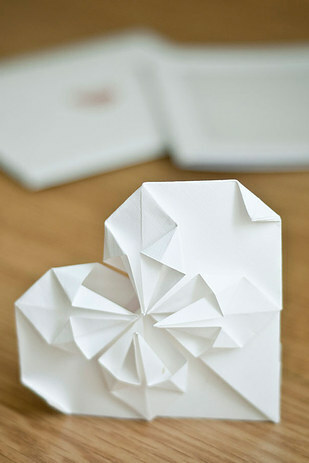 These little elements will go a long way in bringing that vintage class to your wedding. 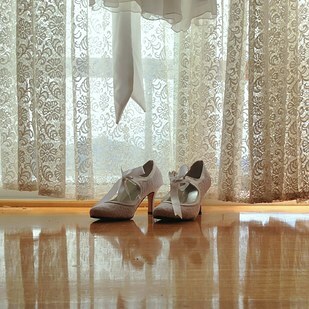 Be a luminous, glowing bride with Olay Regenerist Luminous. 1. 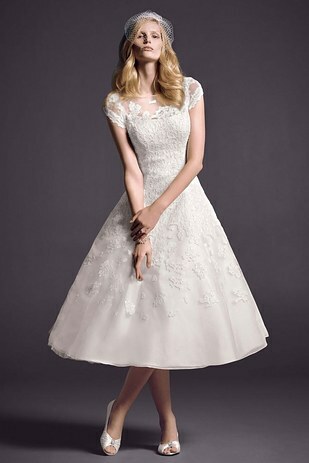 First things first, opt for a tea-length dress for a beautiful and classic bridal look. 2. Go retro with your makeup and offset your luminous skin with a bold lip. 3. 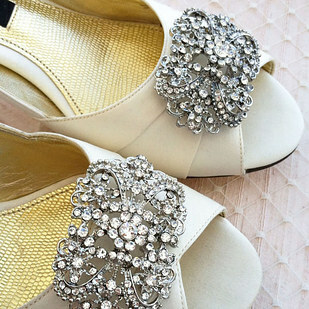 Glow all the way down to your toes with the addition of a vintage shoe clip or satin bow. 4. Pick a timeless venue. 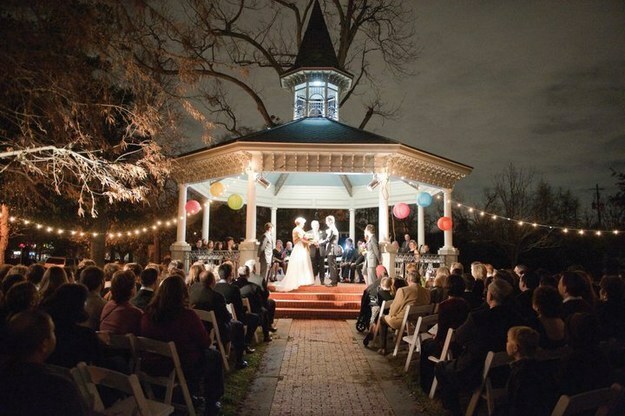 A pretty outdoor gazebo or classic ballroom set the perfect stage for old-school glamour. 5. 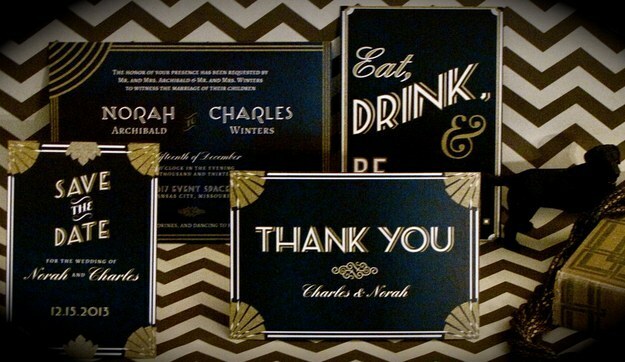 Search for stationery labeled “art deco” to find great options reminiscent of the Roaring Twenties. 6. 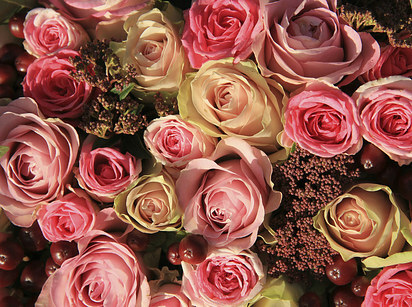 Bring on the roses. 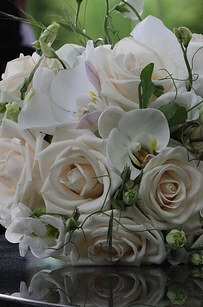 An elegant arrangement of white or pastel roses is both traditional and classy — you can’t go wrong with them! 7. 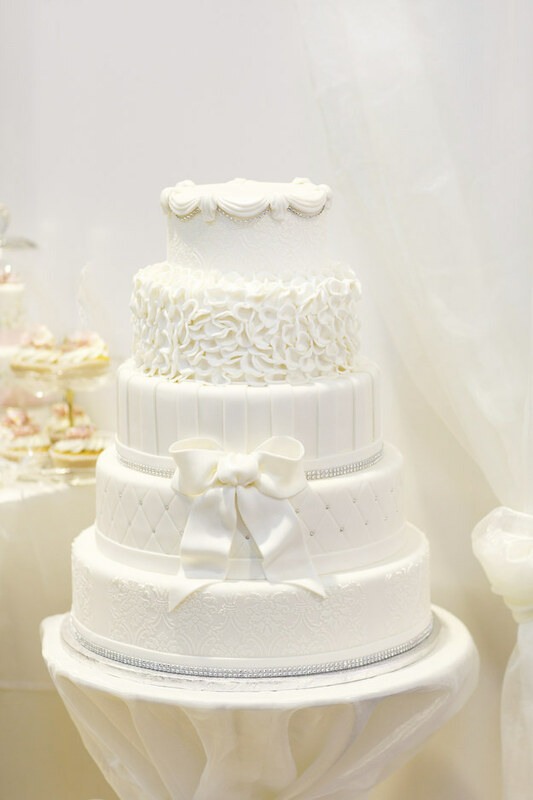 Choose an all-white or muted pastel tiered cake. 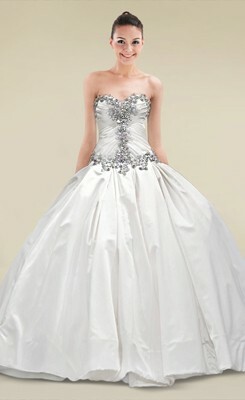 The large bow and glitzy detail add to the glamorous feel as well. 8. 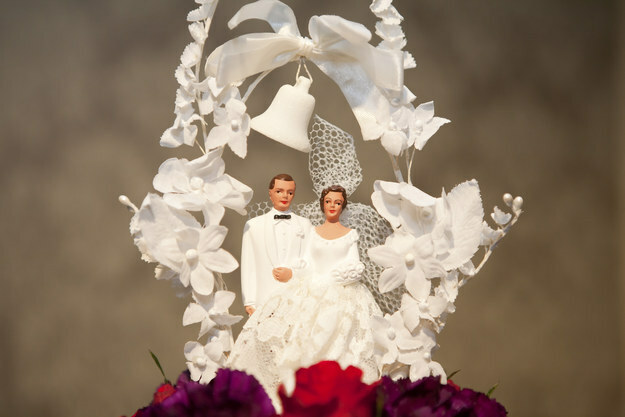 And don’t forget the traditional cake topper! 9. 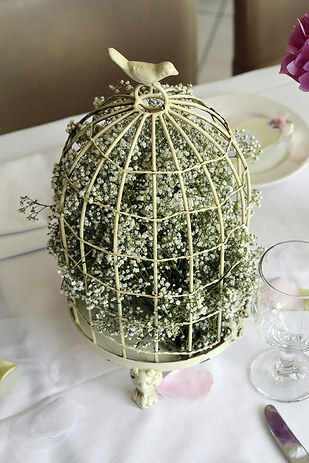 Add a sweet vintage touch to the tables with accents like antique bird cages and origami hearts. 10. 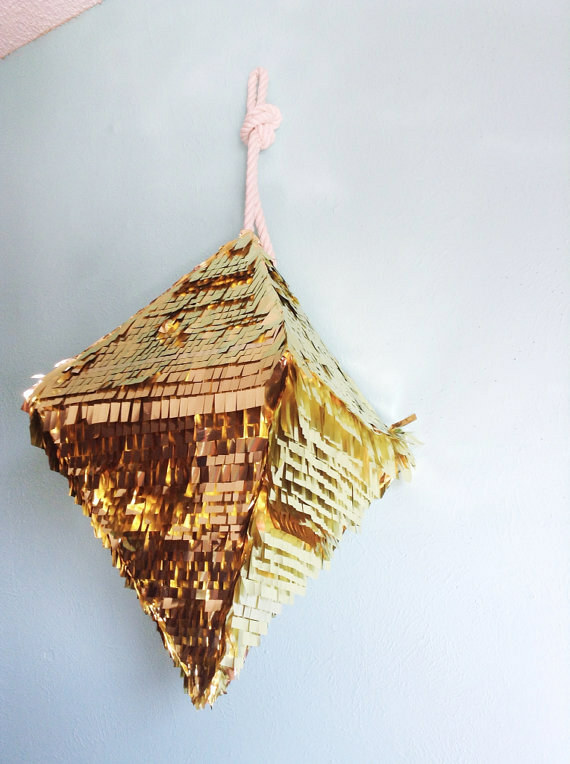 Get the feel of sparkling crystal chandeliers with gold tassel piñatas. 11. 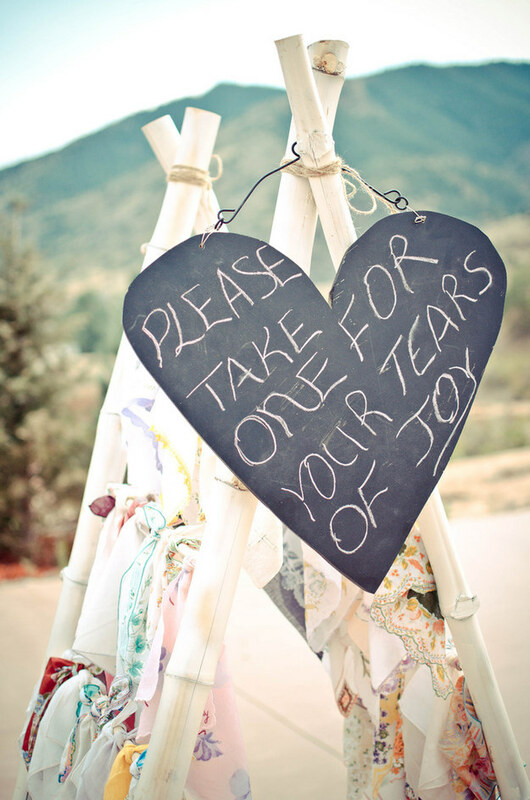 Set out pretty vintage handkerchiefs for your guests. 12. 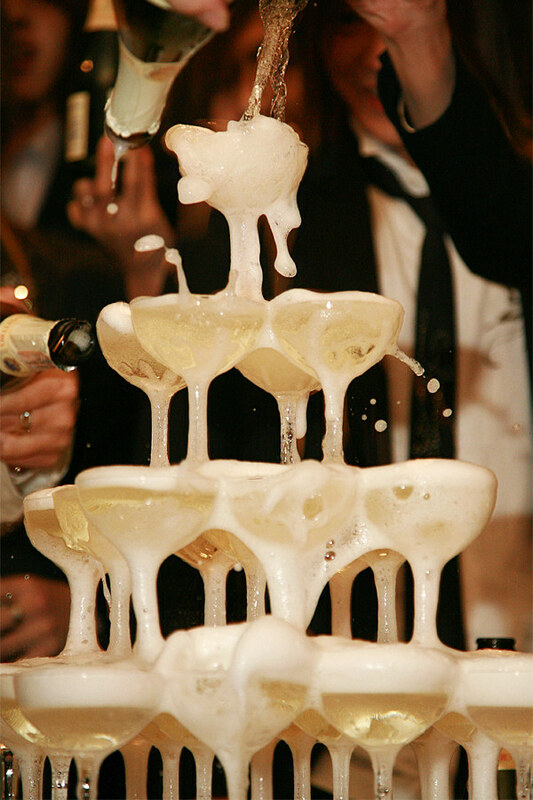 Don’t forget the classic champagne tower! 13. 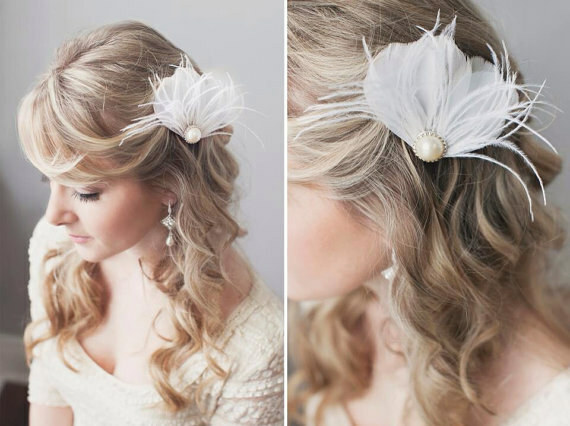 Add radiance to your bridal hair with a delicate fascinator. 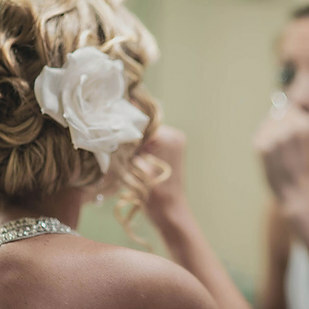 Get more beautiful vintage hair ideas here. 14. 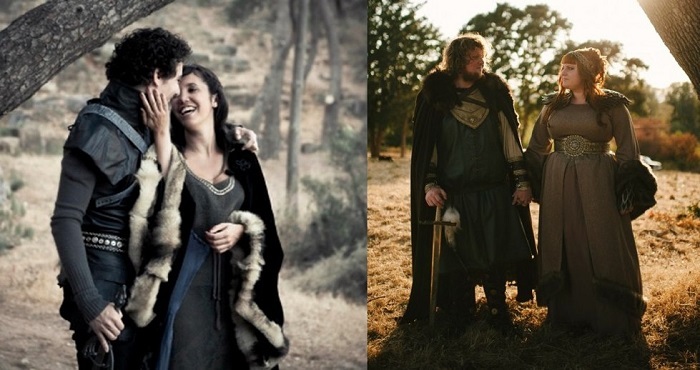 And last but not least: Ride away in style. 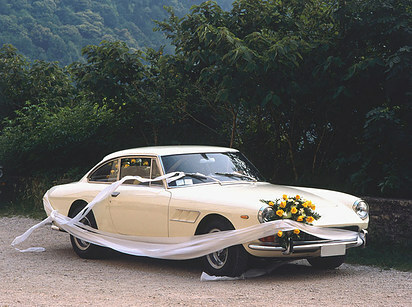 Rent a vintage car for the day of your wedding through a service like GigMasters.